Hello fellow internet time-wasters and procrastinators, it's Silver! You know you love me. I'm actually supposed to be doing a biology project right now, but I figured I'd take a break and post something on the site. My one-shots that I've been working on should be up sometime today, so you can definitely look forward to them. I also told you guys about the new writing exercise I've been wanting to try, remember? In case you don't, here's a recap: in the exercise, you write down 500-word short stories a day, no matter what sort of mood you're in, to help you avoid writers' block. I'll probably start tomorrow (yes, I am a procrastinator extraordinaire), and I'll try to post them as soon as I finish writing them. If I don't, I'll probably have an angry Lily out for my blood, well, not blood: Lily's a vegetarian. You get the idea. Just in case she is reading this post, I would like to add that she is an extremely kind, sweet, caring, and completely modest person (and I'm not just saying that because she'll kill me if I don't). I don't know when we'll be seeing another post from Fluffy, but, for the sake of her well-being, I hope she posts soon. I also can't guarantee that Fluffy will remain alive if she fails to post; if worst comes to worst, my money's on Lily. We love you, Lily! I'm working on some new styles of paper dolls, just to practice, and you can look forward to those sometime next week. I'm also currently drawing a new series of paper dolls showing how fashion has changed through the ages, but I don't know when those will be up on the Paper Dolls page. Since Renaissance dresses are notoriously hard to draw, I'll probably just start with the Antebellum Era (pre-American Civil War) gowns, and draw the clothing from each decade. I really want to do a couple of dolls for each era so that I better can represent all the styles of clothing that people wore during that time period. I also have some templates drawn for male paper dolls, so I might also draw the fashions available for men from each era as well, but that depends on what Lily recommends. I'm also working on dolls that correspond with my stories (including the fan fictions), and I'll post those around the same time I post my stories. In completely unrelated news, did you hear that a new proposed Arizona bill is trying to ban internet trolling? I just can't believe the stupidity of some of those politicians! Who elects those people?! Seriously! If they had even an ounce of common sense, they would realize that states are not allowed to pass laws that restrict the rights of the citizens guaranteed in the United States Constitution. As a wise man once said, "Never underestimate the power of stupid people in large groups". While we're still on the subject of stupidity, I found that some people (who are in my high school) can't solve this simple math problem: 40 + 40 x 0 + 1. 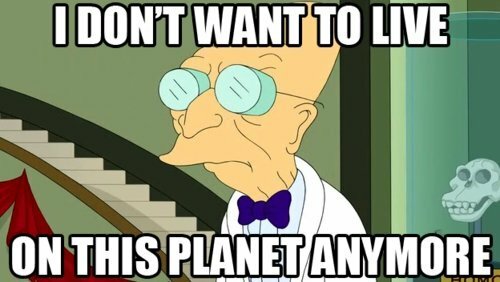 The meme that says "I don't want to live on this planet anymore" immediately came to my mind. In case you were wondering, the title of this post is not random at all (we try our best to leave the randomness to Ice Cream). 'Something' is actually the name of a song by the Beatles. Seriously. It's part of their hit album 'Abbey Road'. Look it up if you don't believe me. I suppose that's all I have to say, er, type.